A Rest That Works • Run Hard. Rest Well. Vibrancy and engagement transpire in the workplace when leaders run with passion and rest on purpose – routinely refueled, refreshed, and replenished. Too many have grown accustomed to “running on empty,” forfeiting their best self and shortchanging those they lead, love, and serve. 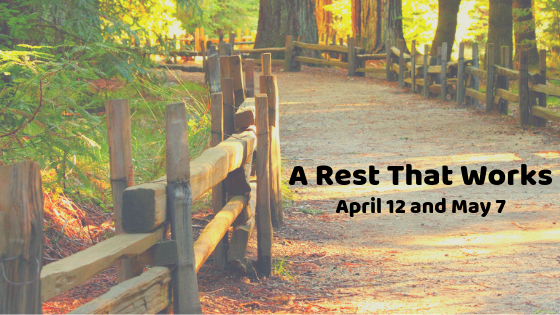 Through a retreat-like experience, A Rest That Works introduces no-cost, high-yield restorative rhythms that equip leaders and their teams to navigate 24/7 from a place of vibrancy, strength, and joy. Just seeing this email has brought me joy. I love you.